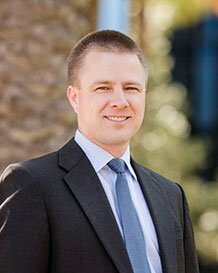 Ryan specializes in global patent and trademark prosecution for clients of all sizes, and focuses primarily in the areas of mechanical and aerospace engineering, process engineering, household and consumer products, medical devices, and fluid conditioning systems. He also has substantial experience with licensing, defense and enforcement of both patents and trademarks, including at the U.S. Patent and Trademark Office and in Federal Court. In his practice, he has also led global enforcement efforts in the U.S., China, Europe, and Japan. Ryan manages portfolio development for domestic and international clients, developing individualized strategies to best protect clients’ intellectual property while providing a measure of cost certainty to clients. The portfolios are developed using a holistic approach to protect ideas and brands from the concept stage, through production and sale of products or services, and enforcement or monetization of the portfolio. Ryan serves as a subcommittee chair of the International Trademark Association’s Public Information Committee, and is a past chair of the Orange County Bar Association’s Intellectual Property and Technology Section. He is an active member of the American Intellectual Property Law Association and Bruin Professionals.